Smash a wine glass with sound, create spiral rainbows, use light to heal wounds and explore medical optoelectronics - do these things sound intriguing? Are you interested in communicating science to a young audience? 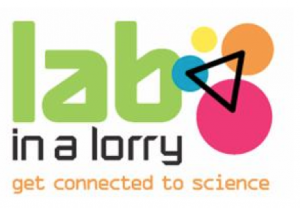 Lab in a Lorry or Labordy mewn Lori needs volunteers with a scientific or engineering background for events across Wales during school term time until March 2015. The initiative is run by the Institute of Physics (IOP)and is an interactive mobile lab designed to give young people aged 11 to 14 the opportunity to explore science through open-ended experiments. Details of the schedule can be found in the Cymru or English leaflets. If you would like to volunteer or have any questions, contact James Bamford.